The Principia Mission website was focused around leading British ESA astronaut, Tim Peake’s galactic journey to the International Space Station (ISS), and followed the events leading up to lift-off. The interactive site was aimed at a variety of users wishing to follow Tim’s mission as it unfolded during the launch, and during his time aboard the ISS. Connect provided website implementation and hosting services for the official website. Connect delivered an innovative and unique website to the UK Space Agency in a very short time period with tight deadlines in place. 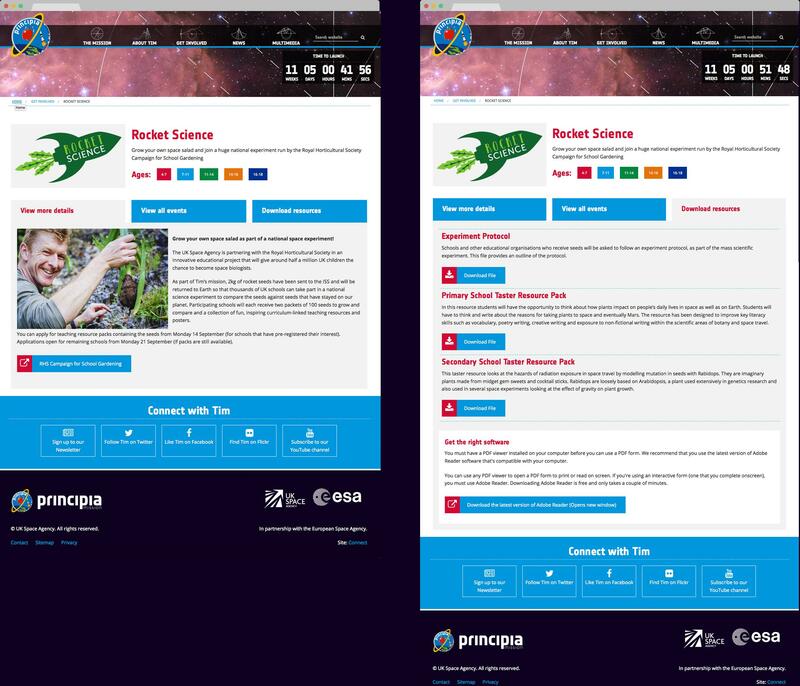 Built around one of the most popular content management systems, WordPress, the UK Space Agency continued to build on the site; taking the project in their own hands, and moulding the Principia Mission website to their choosing. As Tim Peake’s mission revolved around the education sector, the site incorporated features that aimed to grasp the attention and enthusiasm of students, encouraging them to engage in STEM subjects. Resources for teachers were available to download at any time, alongside educational videos to be used in the classroom. 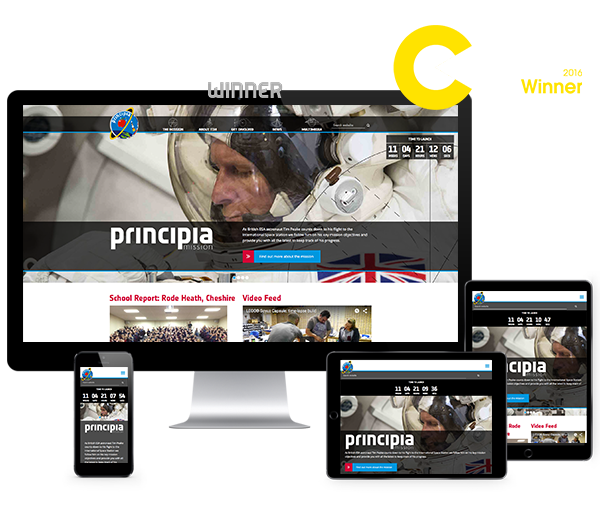 The Principia website took on a wide range of audiences, from primary school children, to their teachers and parents. 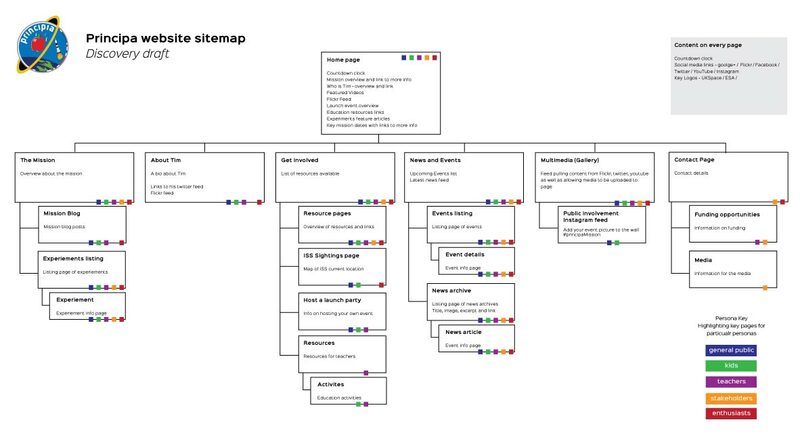 Because of this, it was important that we catered for all of their needs using a modern and responsive design that was planned out carefully in the discovery phase. The launch of Tim Peake’s mission in December 2015 was a historic moment for the UK in space, and was heavily covered by the media, so it was important that the UK Space Agency appointed an experienced and qualified digital agency. 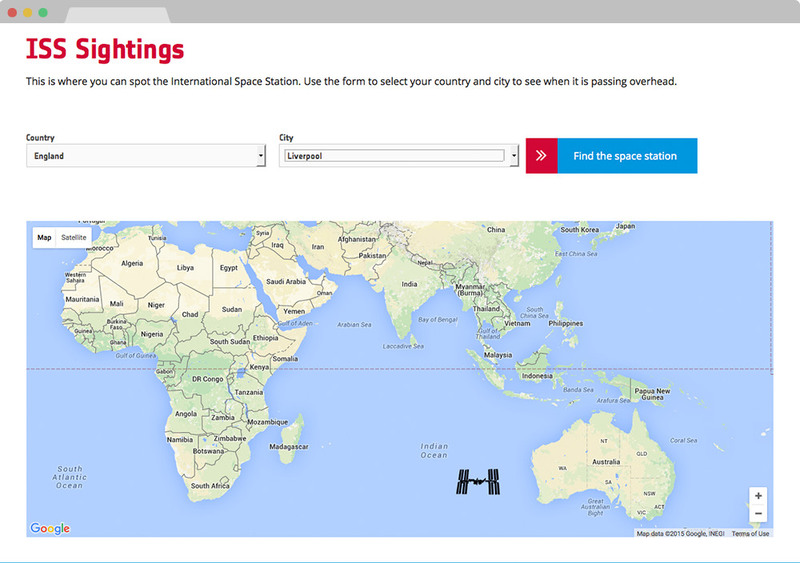 A neat feature of the site is the ISS tracking system, which allowed users to view the approximate location of the ISS above the Earth. The system integrated with the open source Google Map API and other additional data to allow visitors to pinpoint when the International Space Station could be spotted in the sky in their area.